With hundreds of eligible films (many of which were reviewed by FF2 Media) the final nominees are a well-deserved, if not surprising, list of immeasurable talent. Academy voters for the 2016 Oscar nominations apparently 'never let go' of their fondness for Leonardo DiCaprio and Kate Winslet, both nominated for their respective roles in Alejandro G. Iñárritu's The Revenant and Aaron Sorkin's Steve Jobs. Although Amy Berg was snubbed for her stellar year in the documentary category, filmmaker Liz Garbus was a welcome addition to the Best Documentary Feature category forWhat Happened, Miss Simone? Congratulations to screenwriter Meg LeFauve for Inside Out and screenwriter Andrea Berloff for Straight Outta Compton. How you compare imaginary emotions in a girl's brain to the Spotlight Team at the Boston Globe ... that's for the voters to decide. But for now, the FF2 Media will sit back and enjoy every single one of these nominations. Congratulations to screenwriter Emma Donoghue for nomination for Room. Another FF2 Media favorite, The Big Short, scored a well-deserved nomination in Best Adapted Screenplay. Although Brooklyn was not reviewed by our team, it was on my Top Picks of the Year list, coming in at Number Three. 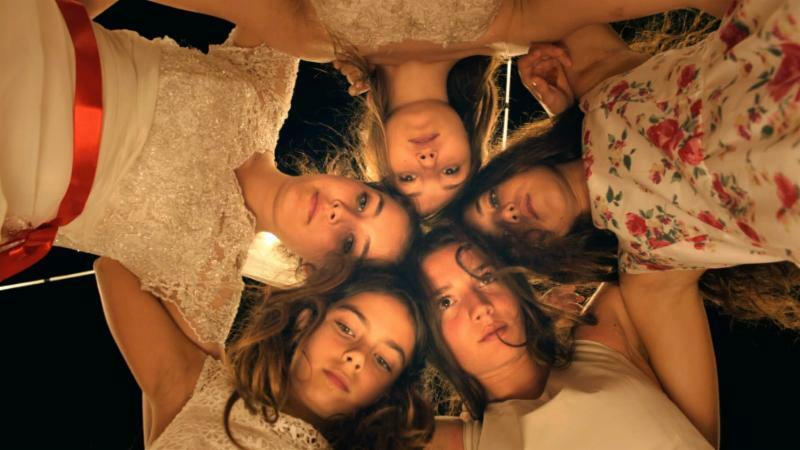 Congratulations to filmmaker Deniz Gamze Ergüven from France for today’s Oscar nom for MUSTANG in the Best Foreign Language Film category. Congratulations to screenwriter Meg LeFauve for Inside Out, one of the best movies of the year and the best Pixar movie made within the last five years. If my prelude didn't already warn you, I am a big Kate Winslet fan (and Rachel McAdams). Congratulations to all the nominees on their diverse portrayals. Judging by the audience reaction at the Golden Globes, if Sylvester Stallone wins an Oscar for reprising his role as Rocky Balboa ... well, then, I'll stand up, too. Although each of these performances deserve a standing ovation. Tom McCarthy and Adam McKay spearheaded two impressive, suspenseful narratives with two impeccable casts. Although, Alejandro Iñárritu will mostly likely walk away with the gold statue. (Some people believe it's for his stellar work. Others *cough* believe it's because people just like to say his name). Nominated since a young age for her role in Atonement, this year's Academy Award belongs in the hands of Irish Saoirse Ronan for her portrayal as Eilis in Brooklyn. A rebellious screenwriter. A thrifty astronaut. A resilient frontiersman. An extraordinary visionary. A transgender pioneer. Open envelope, please. "THE FRONTIERSMAN." Everyone can stop making Leo-never-wins memes on Tumblr, now. Each and every story, big and small, has entertained millions of people around the world. They inform, they make us laugh and cry, they make us sit on the edge of our seats. And if we are really lucky, they make us think long and hard. This year, Spotlight made me think long and hard.